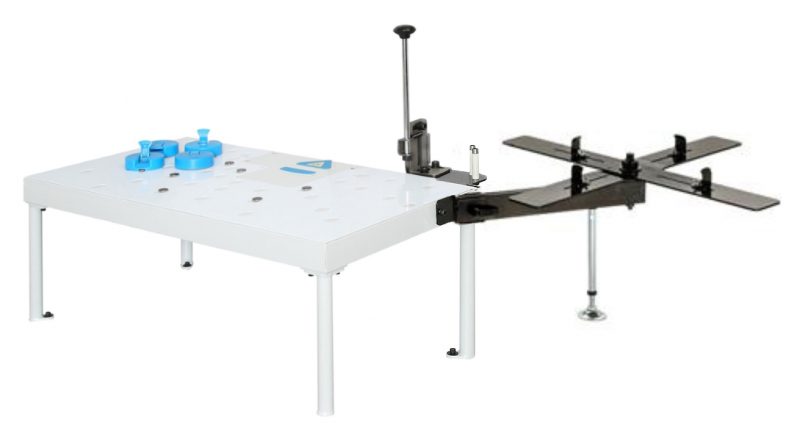 The table and edgeband dispenser system is compatible with Le-Matic & Co-Matic Portable Edgebanders, ST97 Fence Attachment, and PD80 Edgeband Trimmer. The ST95B Table & Dispenser are ideal for those using the portable edgebander for straight edgebanding as well as smaller, shaped pieces for radius edgebanding. The edgeband dispenser is used for holding edgeband coils and includes a guillotine which simplifies the edgebanding process by eliminating the need to pre-measure and cut edgebanding to length.